2e. Edited Gillespie SH. McHugh TB Humana Press/Springer Towtowa New Jersey 2011. Novel perspectives in antibacterial action. Edited Gillespie SH., Tillotson GS. Royal Society of Medicine, Round Table Series 76. Royal Society of Medicine London 2002. Principles and Practice of Clinical Parasitology. Edited Gillespie SH and Pearson RD. John Wiley Chichester 2001. 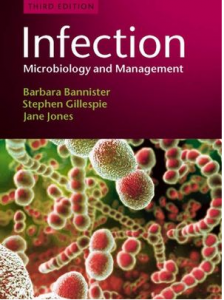 Infectious Diseases (2nd Edition) Bannister BA, Gillespie SH. Begg, NA. Blackwell Science (Oxford 2000) Translated in Portuguese. 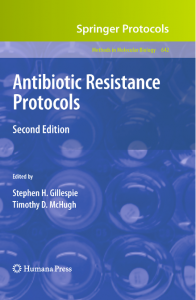 Methods in Molecular Medicine: Antibiotic Resistance Protocols. Edited Gillespie SH. Humana Press Towtowa New Jersey 2000. 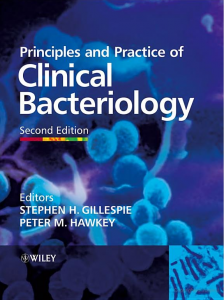 Principles and Practice of Clinical Bacteriology. AM Emmerson, PM Hawkey, SH Gillespie (Editors) John Wiley. Chichester. 1997. Infectious Diseases. Bannister BA., Begg NA Gillespie SH. Blackwell Scientific Press. Oxford. 1996. (Additionally Translated into Polish and production of a Chinese edition – in English). 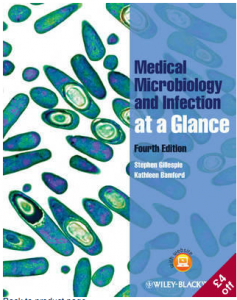 Medical Parasitology: a Practical Approach. SH Gillespie, PM Hawkey (editors). IRL Press/Oxford University Press. Oxford. 1995.